International Citizen Service (ICS) is a programme that brings young people from the UK and from Nigeria to live and work together as volunteers so they can share their learning with their host community. ICS seeks to support the advancement of a global perspective among young people and create a group of young people, both in the UK and in developing countries, who make a lifelong contribution as advocates for international development and as agents of social change within their own communities. The Calabar programme is a partnership between Voluntary Service Overseas (VSO) and Girls’ Power Initiative (GPI). The Calabar ICS programme will have a team of up to 20 young people (aged 18-25), with equal numbers coming from Nigeria and the UK. The teams are formed, to reflect diversity in terms of geography, ethnicity, ability, education and gender. Together, in cross-cultural counterpart pairs, they live with host families and work on community development projects in the community for 3 months. Participants (volunteers) must be sure that they can cope with the above standards of behavior before they apply for the program. Completed forms should be returned to GPI either via email to ics2013@yahoo.com or can be delivered or posted to the following address: Girls’ Power Initiative (GPI), Anyamurua Estate, Atimbo Road, P.O. Box 3663, UNICAL Post Office, Calabar. Completed forms must be received by Friday 11th January. Those candidates short listed for the programme will be contacted from the 14th of January and will be invited for interview within one week of notification. The Bridge Leadership Foundation (TBLF) – a non-profit leadership and mentoring Foundation based in Calabar, Cross River State – seeks to hire an outstanding individual to serve as its first Executive Director. The Foundation is a young foundation committed to building generations of young people educated to become compassionate, entrepreneurial and engaged citizens who are empowered to take responsibility for their own lives and make a difference in their communities. The Board of Trustees seeks a dynamic and creative leader with impeccable integrity to further strengthen the work the Foundation has done. Candidates must be deeply committed to the Foundation’s purpose and values. They should bring demonstrated interests, and optimally, professional experience, in the foundation’s core areas, and have a record of accomplishment. They must be interested in working with and answering to an active board that has high standards and also values its participation in policymaking. 2. Develop requests for proposals, assess and evaluate programs and make recommendations to the board. 3. Develop and lead the strategy of the Foundation within the broad context of the local and national landscape by using performance measurements to guide strategic and operational decision-making. 4. Take a leadership role in driving a collaborative process with the Board of Trustees, staff and members that would result in the development of goals, objectives and operational plans for the organization. 5. Oversees preparation of the annual budget and other necessary financial documents. Provide information and justifications for Board of Trustees in its budgetary review and approval process. 6. Ensure the organization has diverse staff with skills appropriate to the needs of the position through people management activities including hiring, separation of employment, ongoing staff development, performance management, compensation and benefits. 7. Manage all fund development activities, including grant writing, cultivation and stewardship of donors, event planning, and identifying new resources. Actively seek and maintain a diverse donor base of individual, businesses, foundations and government segments. 8. Build long term relationships with key donor segments based on mission, cultivation and stewardship, program outcomes and sound fiscal management. 9. Lead organization’s financial growth in order to maintain healthy cash flow, provide full services to our constituents and maintain adequate reserves to support board-approved investments and risk-taking. 10. Develop a strategic marketing plan that provides a clear and concise message telling the Foundation’s story. Oversee the execution of marketing and media relations. Represent TBLF in all media relations by participating in interviews, developing press releases and all other media type engagements. 1. Undergraduate degree is required; an advanced degree is preferred. 2. A minimum of 5 years nonprofit work experience in comparable fields. At least 3 years of demonstrated success in staff leadership, fundraising, partnership development and financial management. 3. Demonstrated success of effectively leading change and organizational growth through strategic planning. 4. Demonstrated knowledge of working on youth related development programs and projects. 5. Demonstrated success in acquiring agency support through successful grant applications and general fund raising. 6. Strong fund development, marketing and public relations experience to successfully engage stakeholders, including funders, business partners, policy makers, media and communities. 7. Strong and effective oral and written communication skills. 8. Personal qualities that include integrity, commitment to TBLF’s mission, respect for diversity and the ability to inspire and motivate. Competitive salary that is commensurate with experience. No relocation allowance or benefits will be given. TO APPLY: Qualified candidates are invited to send a substantive cover letter describing interest in the position and qualifications, resume/cv, salary history, and one writing sample to: vacancy@thebridgeleadership.org by January 12, 2012. Are you a graduate, young and willing to build a successful career but you don’t know how? As part of our vision to raise a community of inspired, equipped and influential young leaders who lead themselves and others, The Bridge Leadership Foundation, a Leadership and Mentoring Foundation is assisting graduates in building their skills in employability for personal effectiveness and Career enhancement through its Graduate Employability Training Programme. The TBLF Graduate Employability Training Programme of seeks to invest in the employability potential of young Nigerians particularly those residing in Cross River State by delivering to them cutting – edge orientation and corporate skill acquisition with a view to creating high value personnel; equipped to transit seamlessly from school to the workplace. The training is scheduled to take place from December 3rd– 7th, 2012. Deadline for pre-registration is Friday, October 26, 2012 at 12 noon. Screening venue will only be communicated to selected candidates . Upon selection, you will be required to pay a highly subsidized N10,000.00 registration fee for the five (5) day training. Terms of Reference for Development Communications Associate. The Specialist on Development Communications will work as the official responsible for managing internal and external communications programs and projects for a state-wide Development Communications project. This will mainly entail managing, documenting and coordinating a team of professionals on strategies, challenges and implementing solutions across a clearly-marked region and population. He/she will also be required to also work with a Faculty of Research & Development, Projects, Strategy & External Relations Consultants. In this role, he/she will also be expected to identify challenges and hitches in communication flow, initiate client solutions, suggests collaborations where applicable and relevant, and also develop strategies for new target prospects for the client and her subsidiaries. The DCS shall work under the direct supervision of the Lead Consultant/CEO to carry out all functions specified in this ToR. 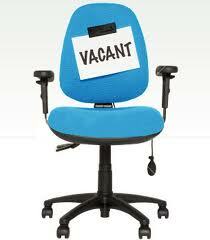 He/she shall work closely with the other members of staff especially the Projects Consultant (PC). Carry out such other assignments as required by the company. Should have at least executed/managed one major development communications project from the inception through execution and completion. Past experience in business development and project management and communications is an advantage. Strong analytical skills and a proven track record of leadership and coordinating teams. Please send all applications to careers@thistlepraxisconsulting.com on or before September 15, 2012. PARTICIPATE:Cross River State Gubernatorial Debate,2012! Enough is Enough Nigeria (EiE) in collaboration with Afterschool Peer Mentoring Project is organizing Cross River’s 1st Youth Focused Gubernatorial Debate. With the objectives of providing an effective platform for young people in Cross River State to interact with the candidates of the frontline political parties in the state; the debate will allow young Cross Riverians engage the gubernatorial aspirants on issues surrounding Education, Health, Poverty, Job & Wealth Creation, Security, Environment (Oil Spills), Infrastructure. The debate will last for 120 minutes and the candidates will be standing for the duration of the debate. The debate will have 4 phases with 4 3-minute breaks. Each candidate gives a 1-minute opening statement. • Questions will be formed around the proposed topics put in context with brief background information. • Questions will touch upon on five of the six priority areas, devoting 15 minutes to each topic including questions from the moderator. • There will be no official limit. • Moderator will interject with follow up questions to address important points made, go deeper in detail, and guide conversation. • Candidates will be allowed to address each other’s points, ask questions, and offer rebuttals. • The moderator will also ensure a fair balance of time is allocated to each candidate’s point of view. The final stage of the debate will feature questions posed directly at the candidates from young Cross Riverians in the audience. • Candidates will be allotted one minute each to respond. • No rebuttals will be permitted. • Audience questions will be selected randomly. Selected participants and their questions will have been pre-screened. Enough is Enough Nigeria (EiE) is a coalition of individuals and youth-led organizations committed to instituting a culture of good governance and public accountability in Nigeria through advocacy, activism and the mobilization of the youth population as responsible citizens.We are non-partisan, neither are we a platform for the actualization of any individual’s political ambitions. In March 2011, EiE hosted Nigeria’s First Youth-Focused Presidential Debate in partnership with Vote or Quench; Sleeves Up and Stand Up Naija. Afterschool Peer Mentoring Project seeks to inspire and engage intending graduates and out- of -school youths on pre/post-graduation goal setting, career guidance and opportunity facilitation. We assist young people prepare to graduate and walk them through the achievements of their life goals.